Whether you need to replace a single tooth or completely restore your smile, Dr. Kissel will create personalized, long-term solutions to help you achieve your goals for overall health, appearance and well-being. His compassionate nature will make you feel comfortable discussing any concerns, from fear of losing a tooth, to phobias, to being unable to afford proper care in the past. He and his staff seek only to help, heal and educate. Dr. Kissel takes dental implant treatment to another level. Dr. Kissel does everything possible to save natural teeth but if a tooth cannot be saved, he utilizes microsurgery for minimally invasive tooth removal and same-day implants with the renowned SMILE Technique. Periodontal disease is a common problem that affects 50 percent of Americans. Good oral hygiene, daily flossing, brushing and visiting the dentist can go a long way in preventing gum disease, which worsens over time and can lead to heart disease, diabetes and low birth weight babies. Stop periodontal disease with a gentle and highly effective approach. Dr. Scott Kissel offers patients in Manhattan, New York City LANAP laser treatment conducted with a microscope. Why Should You Choose Scott O. Kissel, DMD?? 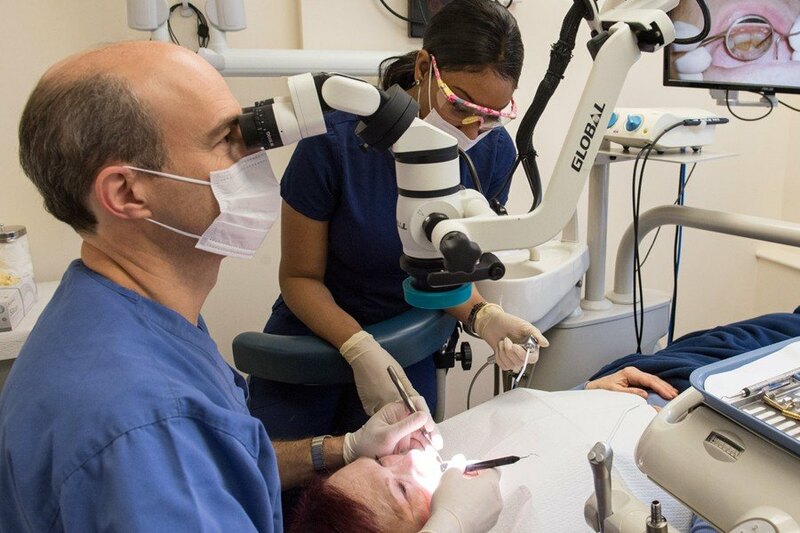 It is rare to find a specialist with experience in restorative dentistry and Periodontics in New York City, who is also accomplished in advanced microsurgery, laser therapy and dental implants. Dr. Kissel’s unique background, extensive expertise and exceptional diagnostic skills provide patients with innovative treatment that is personalized, aesthetically superior and virtually pain free. Dr. Kissel and his staff hold no judgments and realize that patients may have a dental phobia due to a previous frightening or painful experience or may be embarrassed because at an earlier time in their life they could not afford proper care. Some patients may have given up hope, unaware of the advances that modern reconstructive periodontics can do to bring back a healthy smile. Dr. Kissel and his staff are very compassionate and seek only to help, heal and educate.